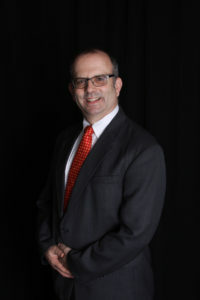 Dr. Lawrence S. Paikoff is an experienced attorney for over 18 years, having represented individuals in a variety of legal matters, including Metal on Metal Hip Litigation, Vioxx-Celebrex-Bextra Litigation, and the Sulzer Hip and Knee Litigation, among many others. Dr. Paikoff also has extensive experience representing clients in medical malpractice cases including Kaiser arbitration matters. He is a physician attorney who is also Board Certified in Internal Medicine and has been practicing medicine for over 25 years. Dr. Paikoff also has a background in pharmaceutical drug testing, having served as the Associate Medical Director for the Product Investigation Company. Dr. Paikoff has also served as Chief Public Health Officer of Stanislaus County. In this role, he was actively involved in implementation and enforcement of one of the first anti-smoking ordinances. He received national attention for directing a large control for an epidemic of hepatitis A. Dr. Paikoff brings his medical expertise to his legal practice to assist clients in their injury cases. U.S. Court of Claims, Washington D.C.